What a blast before I hit the wall. I did not really know what to do this morning, I woke up at 6:30 and read a bit, it was way too early to get going and the sleeping bag was cosy. I eventually resolved to get up round about 7:30 as the council workers decided it was time to cut the grass and there was no point in staying listening to lawnmower music. All my neighbour were up and some were in the camp kitchen having breakfast, I joined for what has become a bit of a routine for me: first breakfast. I call it first breakfast for the obvious reason that has to be distinguished from the creatively named, second breakfast. The first normally includes stuff that I have, this morning it was toast bread and Nutella, the second is normally in some sort of coffee after a couple of hours riding. The spectrum of the stuff that can make up second breakfast is astonishing, from coffee and croissants to, and it truly happened, sardines and garlic potato salad. This time it was the right call. 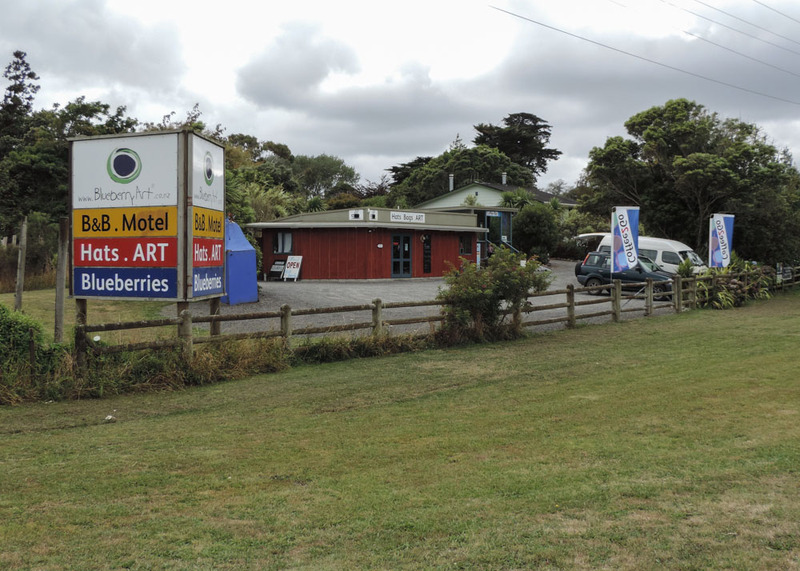 All packed up and left at around 9:00 making good progress down State Highway 1. I was heading for Levin which, not only I had heard good things about from Rei (the Israeli chap I met at David’s), but I also discovered it’s my friend Dawn’s hometown. It goes without saying that I had to stop and what better than stopping for second breakfast. 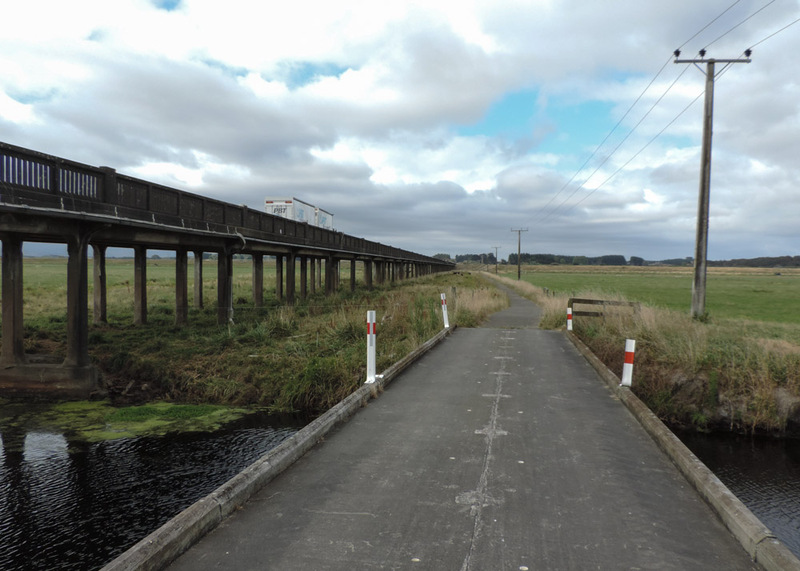 Food was terrific, blueberry muffin lemon drizzle cake and cappuccino, and I was on the road again. Must send this to Maureen to see if they know these growers. If you at this point start worrying about what two cakes and a coffee, following slices of Nutella bread do to my waist line do stop right away. My rough estimate is that I am burning roughly twice as many calories that I put in As a matter of fact I found that after getting into Spain in November I had to force myself to eat more just to be able to keep up with the cycling. Luckily, thanks to Christmas in Italy this is not a problem yet. I was so astonished I had to take a picture. 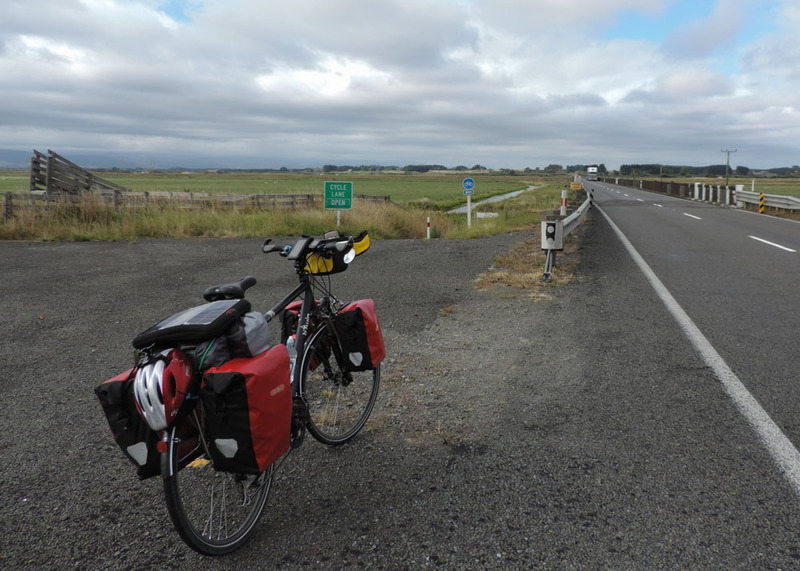 The road was easy, I had, over the past few weeks been told by many people about the difficulty of cycling on New Zealand roads, but I do not find it the case. It is true the trucks are big and, especially the logging trucks move a great deal of air, but, aside from having my hat blown off once or twice I have had no particular problem. I don’t think I ever went this fast on this bike. I was lucky today as the wind was working with me, not necessarily pushing me but for sure going in my direction. Due to this I managed extraordinary speeds. 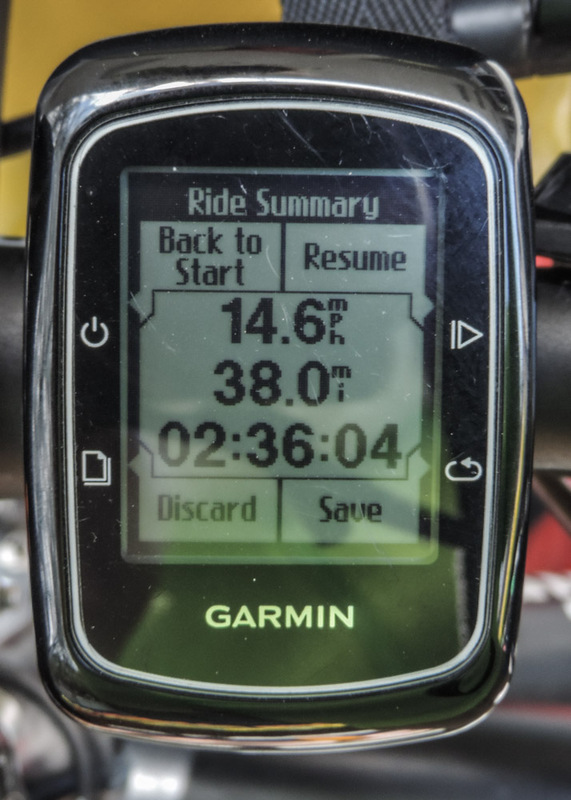 I took picture of the on board computer at 38 miles as I was sure the average speed at which I was going was going to drop as the day went on. It turns out that in the following 10 miles I rode even faster and recorded what I think was the fastest average speed I have had on this bike. Phone charging, ice cream had, book read, photo taken. 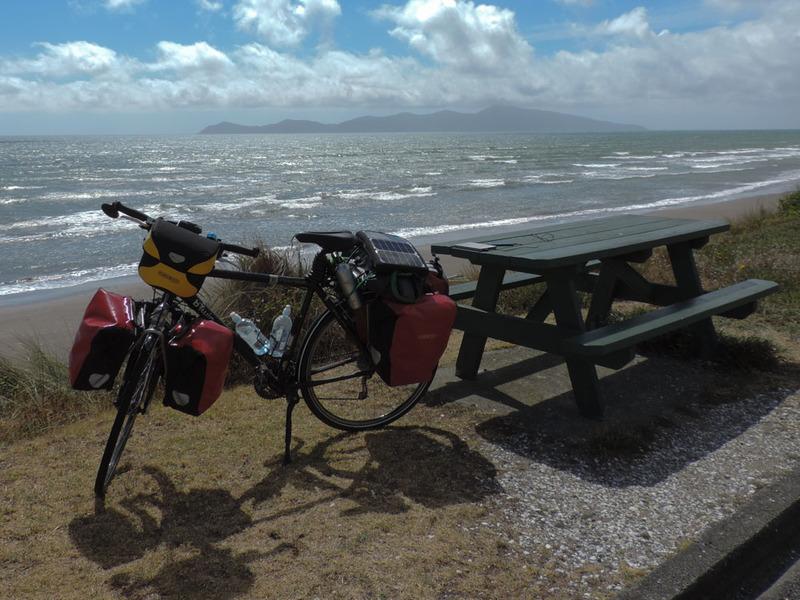 It was all going to end though, once I got to Paekakariki, after a 30 minutes stop by the sea admiring the majesty of Kapiti island, I tackled the hill I needed to cross to get to camp. You can see it in the graph and in the top picture, it’s as bad as it looks and yet, without the wind in the face it was not killing me. Once I got to the top and took a few pictures It wassail the way down on the other side to the camp where I found a few other people already set. Yes that’s where I came from. 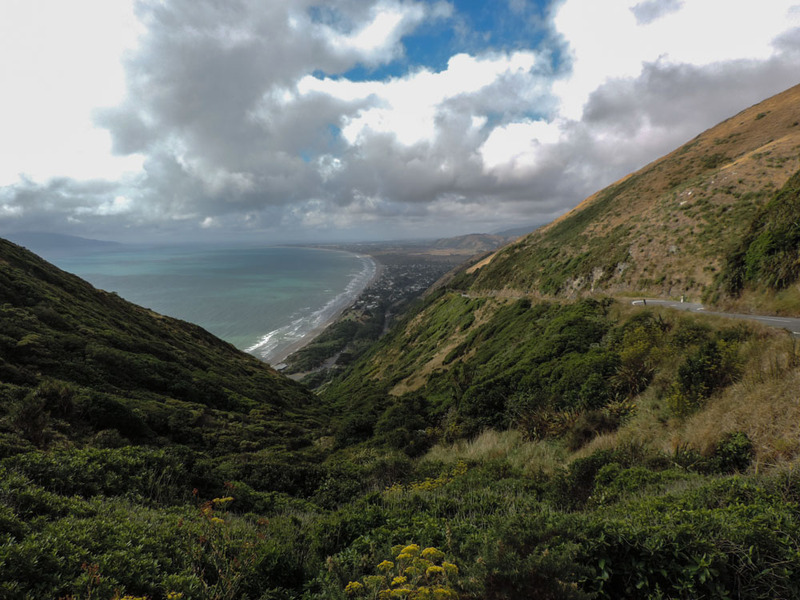 The Battle Hill Forest Farm is on the site of a famous battle of the Maori Wars, currently it’s home to the camp, lots of trails sheep and fearless ducks. 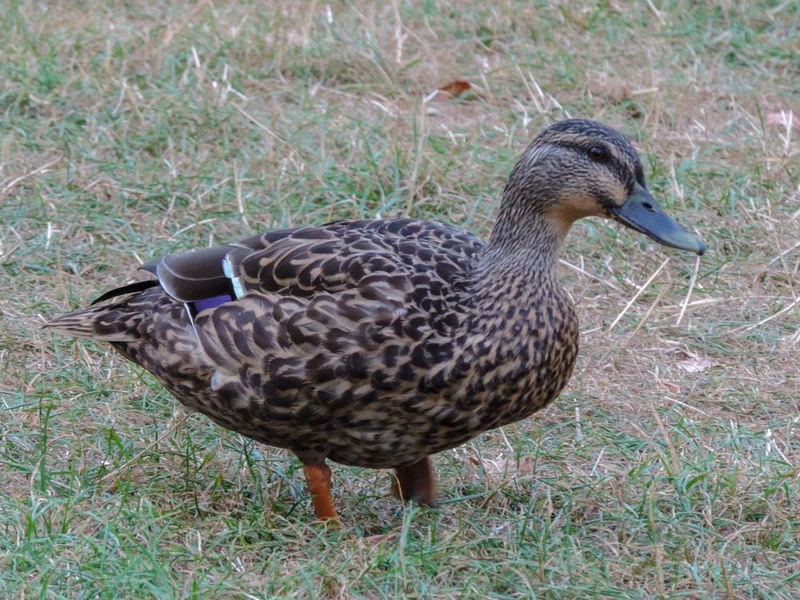 I assume the ducks have had long experience with campers and know that if they stick around you long enough you’ll feed them something. No luck with me though, I had no orange at hand or it would have been them feeding me some. One of the ladies in the tent upstream was passing by my bench herding some children and, after a brief “where, what, when” conversation, invited me to join them in front of the fire, I’m not sure I’m in the mood for socialising tonight so it might be just an early night and considering that there is no mobile signal coverage it’ll be book all the way to sleep. Sometime camping in New Zealand feels like stealing candy from a baby.